Fractal Persecutor Expert Advisor is fully automated. 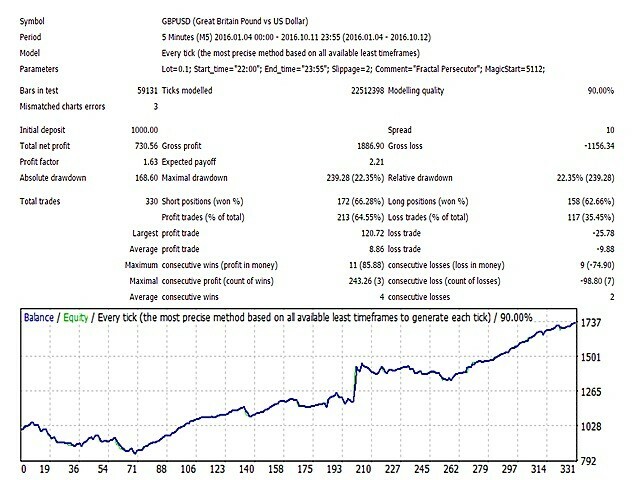 The strategy based on break out levels. 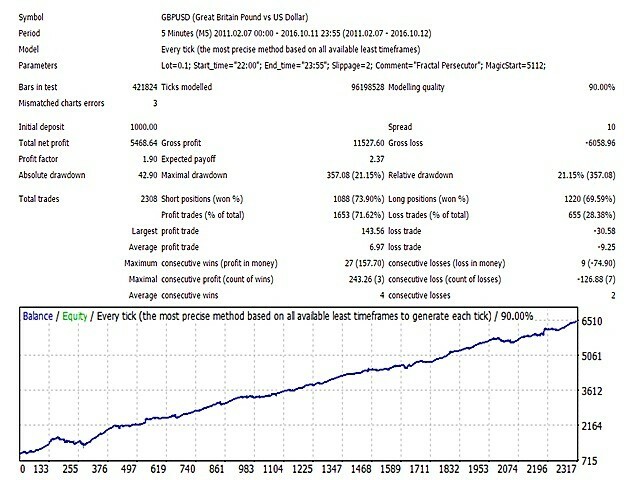 The Expert Advisor was created by GMT+3 time, so please adjust Start time and End time if your broker GMT zone is different. Pips offset from open price - you can choose offset from open price, in negative side or in positive side of open price, eg. 10 , -10.